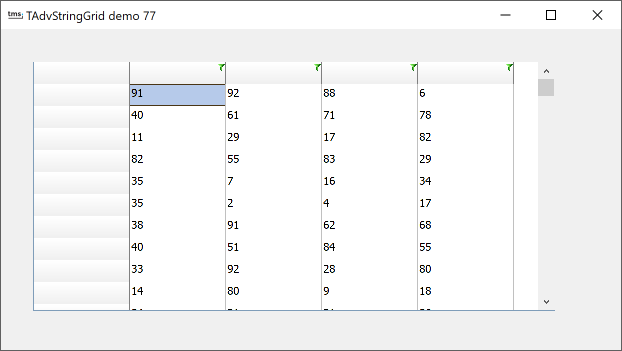 When a selection is made from the filter dropdown list, the event OnFilterSelect is triggered. This returns the column, the index of the filter and the friendlyname of the filter. Via the parameter FilterCondition, the real filter condition can be set. In the code shown here, the OnFilterSelect converts the filter friendlyname "Clear" to an empty filter condition and it also sets a filter condition for column 1 for friendly names "Within range" and "Exceptions". It also updates the column header to show the filter that is applied.